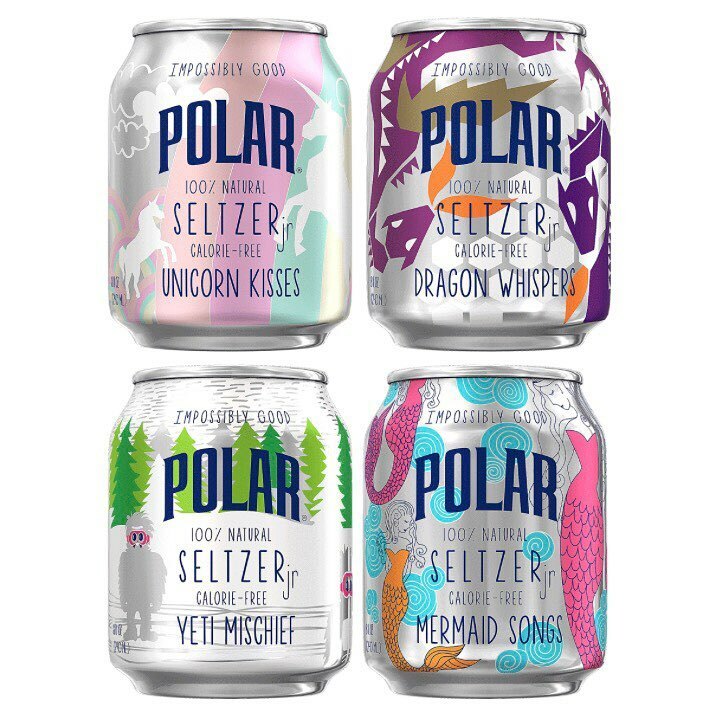 Polar Beverages still hasn’t learned how to bottle lightning, but they’ve gotten very close this year, bottling a mystical trio of new flavors: Dragon Whispers, Yeti Mischief and Mermaid Songs. An image of four flavors in half-cans was posted on Instagram last week. In addition to the three new flavors, Polar Beverages will also re-release another mystical flavor: Unicorn Kisses. It’s likely these new flavors will reach mystical-status for more than their names. Last year, bottles of Unicorn Kisses found their way on eBay for up to $125 after production stopped on the small batch run. According to Boston Magazine, the unique flavors will hit shelves on August 1, and will only be available for a limited time afterwards. Based on Crowley’s image, the flavors appear to be available in half-cans, but it is unclear if they will be put in the typical one-liter Polar bottles. Usually, when Polar Beverages releases a limited batch of flavors, there will be between 5,000 and 10,000 cases produced, according to Lisbet Crowley, the brand activation manager at Polar Beverages. Last year, on April Fools day, the company only made 5,000 cases of the extremely popular Unicorn Kisses flavor. Some people said Unicorn Kisses tasted like fruit-flavored chewing gum, with hints of strawberry, watermelon and violet. Will Yeti Mischief taste like a snowy pinewood forest? Will mermaid songs taste like a fresh ocean breeze? Will dragon whispers taste like a mystical mountain top? Murtishi, Alban. (2017, July 17). ‘Dragon Whispers,’ ‘Yeti Mischief’ and ‘Mermaid Songs:’ These are the new Polar Beverage flavors. masslive.com.